The Airport Advisory Board will meet on Monday, December 10th, 2018 at 12:00 p.m. at the City Commission meeting room at City Hall, 123 S. Main Street, Fort Scott, Kansas. This meeting is open to the public. 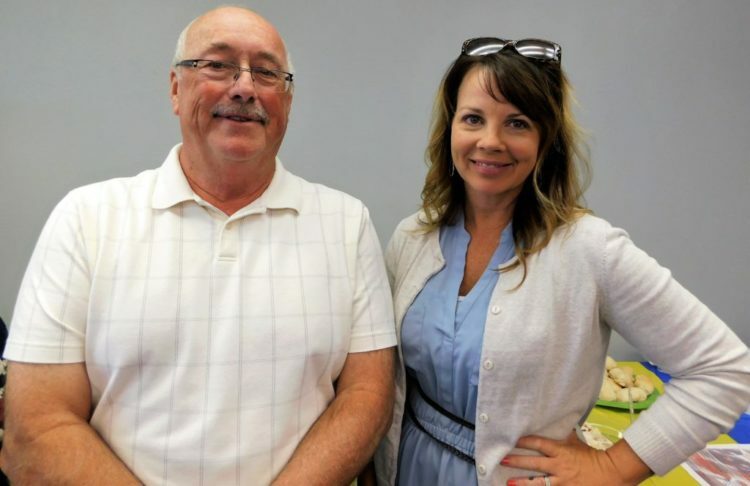 Retiring Fort Scott Airport Director Kenny Howard, left, and Economic Director Rachel Pruitt, at the Chamber of Commerce Coffee Thursday morning at the airport. Kenny Howard, Fort Scott’s Airport Director for the last 18 years, is retiring. 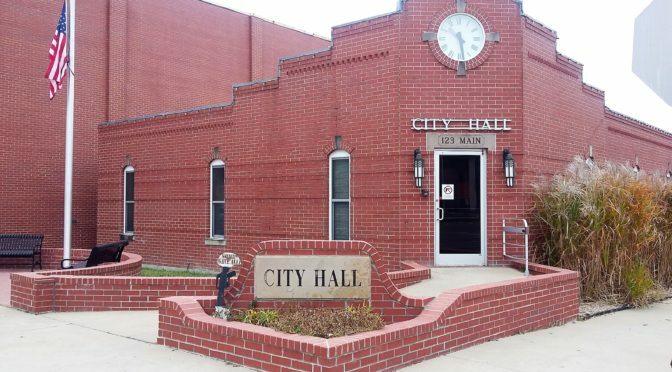 Howard will retire December 31 and the city is currently interviewing for the position, Martin said. Howard told about some of the planned events in his tenure which included clinics and fly-in breakfasts. There have been increased fuel sales at the airport, since changing fuel vendors, he said. Last year approximately 77,000 gallons of fuel were sold there, and as of August 2018, approximately 92,000 have been sold thus far, he said. Fort Scott Airport has two onsite fuel tanks: a 10,000 gallon Jet A gas tank and a 9,000 gallon AV gas tank. Agricultural flying operations, corporate flights, medical emergency flights and more recently a request from the parents of some St. Martin’s Academy students for charter flights, are a part of the job. 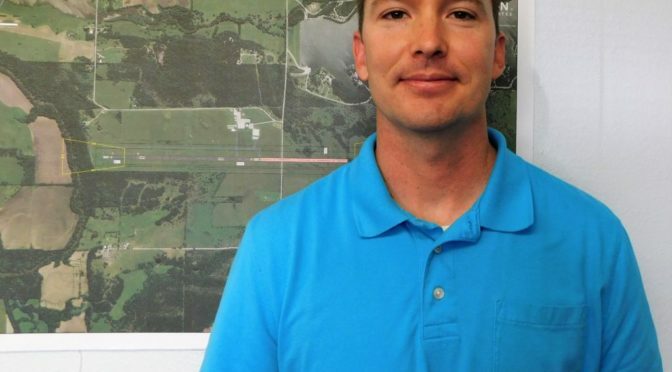 His additional duties are overseeing the mowing of 190 acres of grass and overseeing the insurance piece for the airport. He said he was able to drop the premium for the insurance coverage in the last few years. 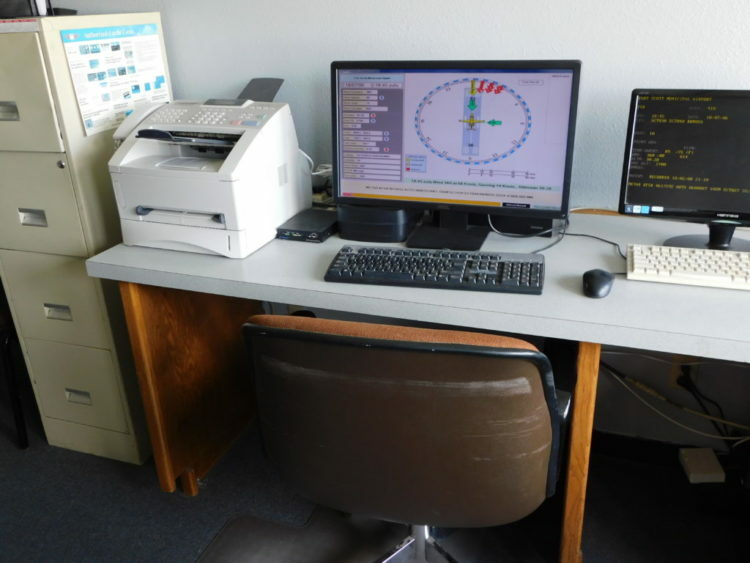 Two recent grants for improvement were received: a grant that will upgrade the Automated Weather Observation Station, and one for improved runway lights. 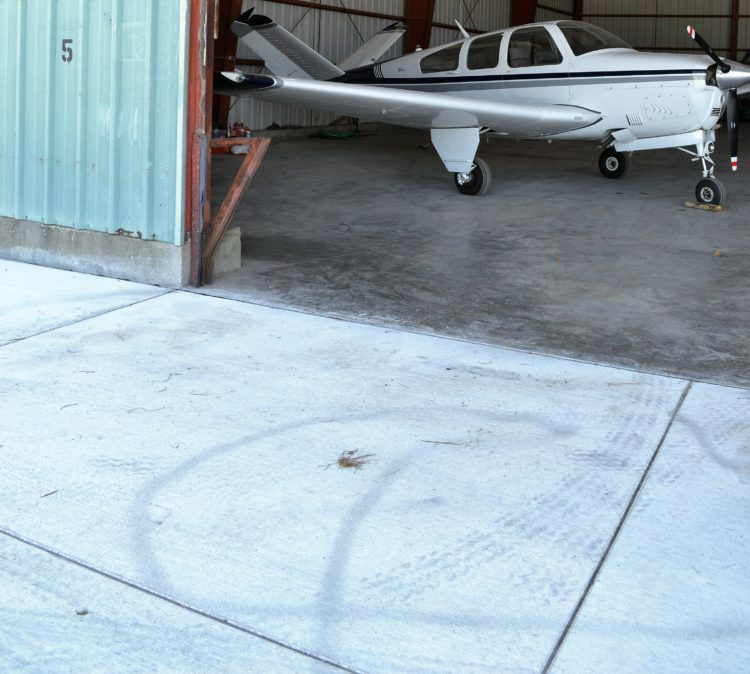 Fort Scott Economic Development Director Rachel Pruitt said there is currently a Federal Aviation Administration opportunity for rural airports. 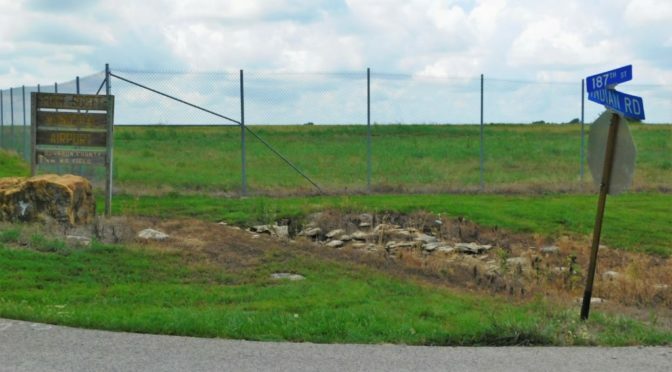 “I submitted an application in August…there is no matching grant required…to expand the runway,” Pruitt said. “The last six years, the airport has seen 60 percent growth,” she said. 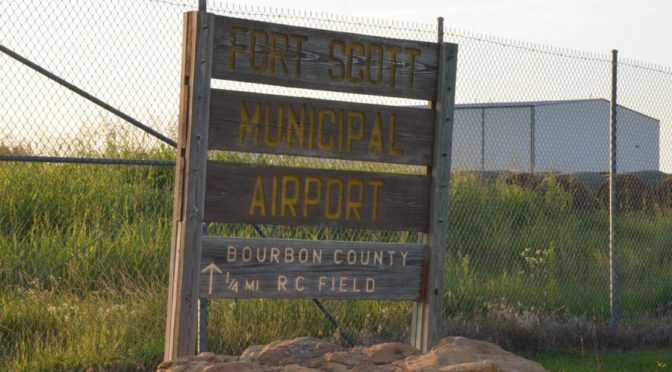 At 4 p.m. the Bourbon County Commissioners may be attending a public hearing at Fort Scott City Hall regarding proposed improvements at the Fort Scott Municipal Airport. 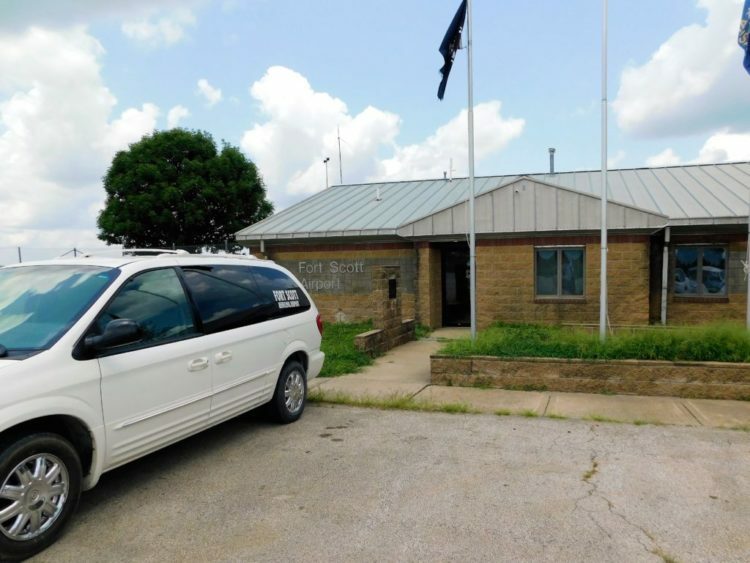 In June, the Fort Scott City Commission approved a Kansas Department of Transportation grant in the amount of $109,600 for the Automated Weather Observation Station upgrades at the airport with the city match of $12,118. 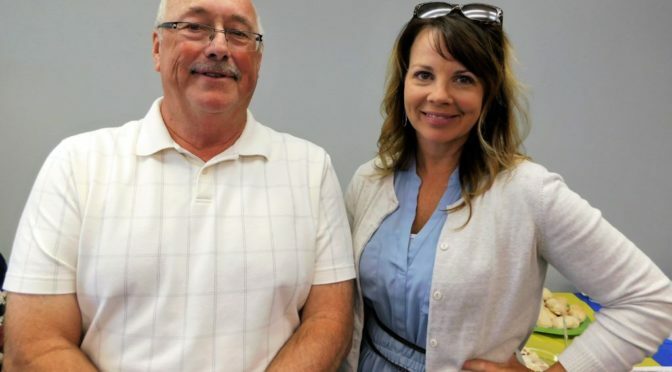 Fort Scott Economic Development Director Rachel Pruitt, along with Fort Scott Airport Director Kenny Howard informed the commission that the city received this and another grant from K.D.O.T. Howard stated that the A.W.O.S. upgrade is badly needed at the Airport as the current system is about 19 years old, according to the meeting minutes. “The A.W.O.S. is the on-field reporter of weather, visibility, etc.,” Howard said. The other grant received from K.D.O.T. is for lighting the runway, Howard said. The PAPI (Precision Approach Path Indicators) and REIL (Runway End Identifier Lights) Grant from KDOT is for runway lighting at the airport in the amount of $177,462. The city match for the grant is $19,718. The commission discussed the airport 2,100-foot runway extension and how this lighting would be affected, according to the minutes. Kenny stated that the grant can be delayed if the runway extension occurs within the next two years. Pruitt stated that she is applying for another grant for the extension July. The office and pilots lounge of the Fort Scott Airport. The Airport Advisory Board will meet on Wednesday, February 28, 2018, at 12 p.m. at the City Hall Commission Meeting Room, 123 S. Main Street, Fort Scott, Kansas. This meeting is open to the public. 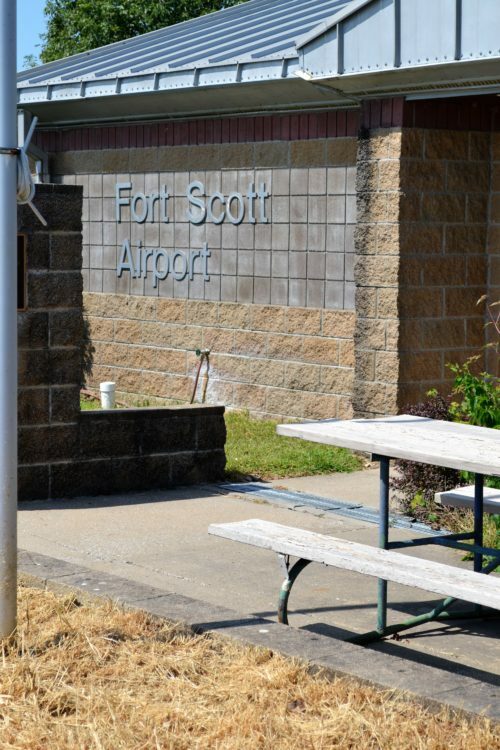 The Fort Scott Airport Advisory Board discuss improvements at the facility Wednesday morning at city hall. From left, clockwise FS City Clerk Diane Clay, Bill Waldren, Matt McGhee, Greg Post, Mary Pemberton, Jim Gladbach and Kenny Howard, airport manager. 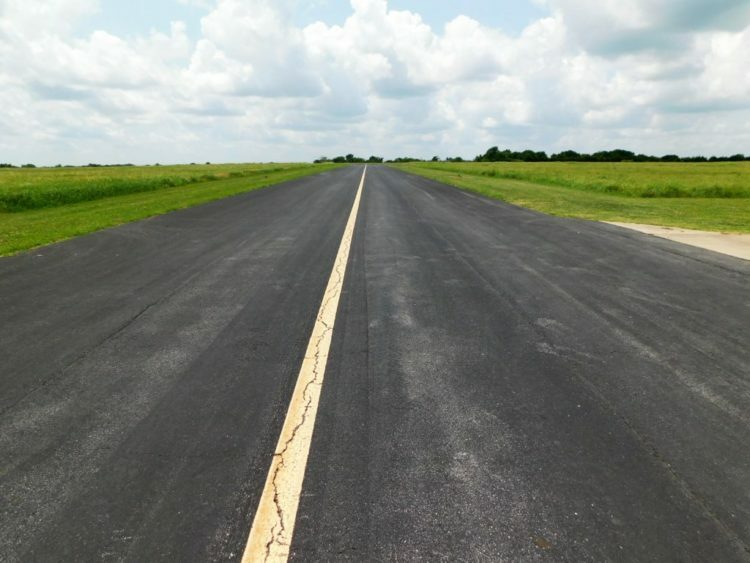 Fort Scott Airport is in the design stage of expanding its runway. The FS Airport Advisory Board met Jan. 24 for an update from Kenny Howard, the airport manager. The runway expansion designer is Olsson Associates, Lincoln, Nebraska. “It will be paid for by the city and private donations,” Howard told fortscott.biz. The design plan will estimate the cost of the runway expansion project, he said. Once the cost is projected, grants will be sought to fund the expansion project, Howard said. The current length of the airport runway is 4,400 feet, the proposed runway expansion would increase that to 6,150 feet, according to Howard. In addition, the city has applied for a grant from the Federal Aviation Administration to rehabilitate the runway lights, Howard said. The estimated cost of that project is $290,000. Howard said approximately 600 aircraft took off and landed at the facility last year. Pilots file and cancel their flights using their cell phones, he said. 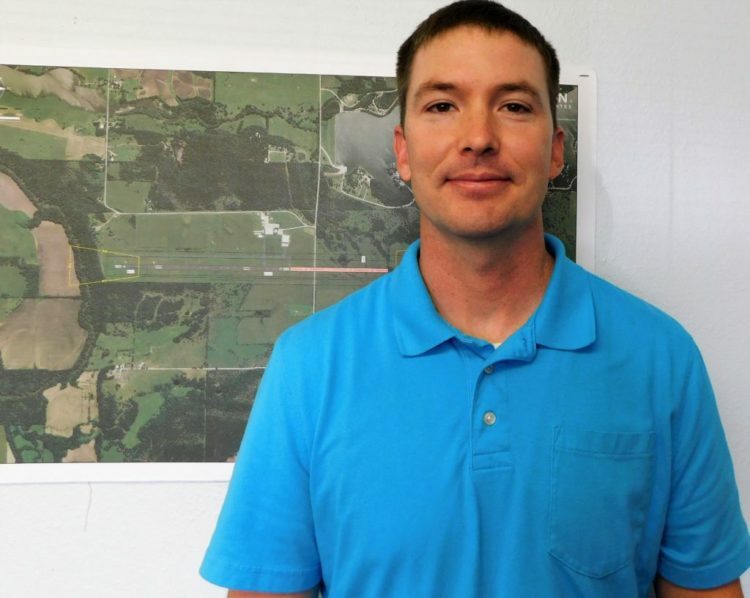 Most air traffic at the facility is between 7 a.m. to 10 p.m.
Merriman lives one mile south of the airport. Howard said a noise analysis done on the airport shows the noise is staying on the airport property. “People that have concerns can come out and talk to me,” Howard told Merriman. He said 8 a.m. to 4 p.m. is the best time to reach him at the airport. The Airport Advisory Board will meet on Wednesday, January 24th, 2018 at 11:00 a.m. at the City Hall Commission Meeting Room, 123 S. Main Street, Fort Scott, Kansas. This meeting is open to the public. 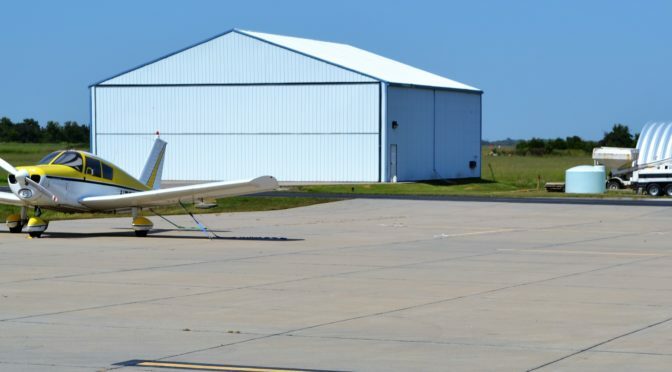 A private aircraft sits in front of two hangars at Fort Scott Airport. The airport is set to have a new aircraft maintenance business in the near future. 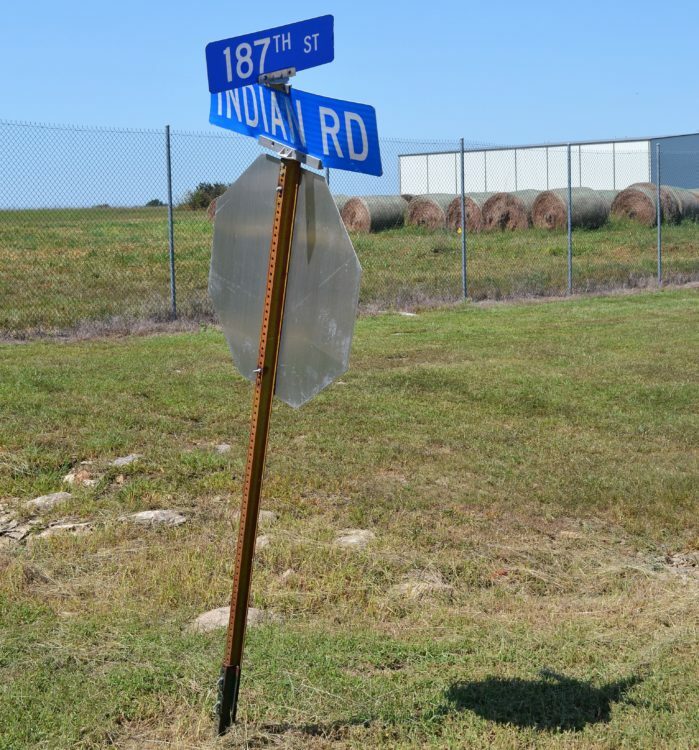 A full-service aircraft repair station will soon be available at Fort Scott Municipal Airport, 1869 Indian Road, southwest of the city. Spectra Jet, Inc., Springfield, Ohio, will start a maintenance facility at the airport in the next two months, according to Kenny Howard, the airport manager. The company will lease part of a hangar at the airport for their business until they can build one of their own, Howard said. Currently, there are eight hangars at the airport, two privately owned and six owned by the City of Fort Scott. The desired outcome of this new business is to bring more airplanes to the airport, Howard said. Currently, there are 45 airplanes in a week, he said. In addition, Fort Scott Airport is a good refueling stop for those traveling cross-county, he said. 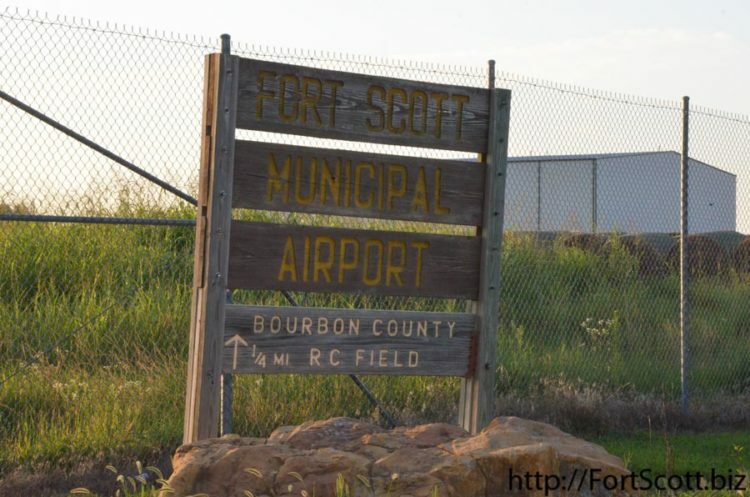 Fort Scott Municipal Airport is southwest of the city at 187th Street and Indian Road. The front entrance to Fort Scott Municipal Airport office. Pictured is hangar no.5, which is owned by the City of Fort Scott. Spaces are rented to pilots for their aircraft. Several aircraft are parked in hangar no. 5 at Fort Scott Airport. 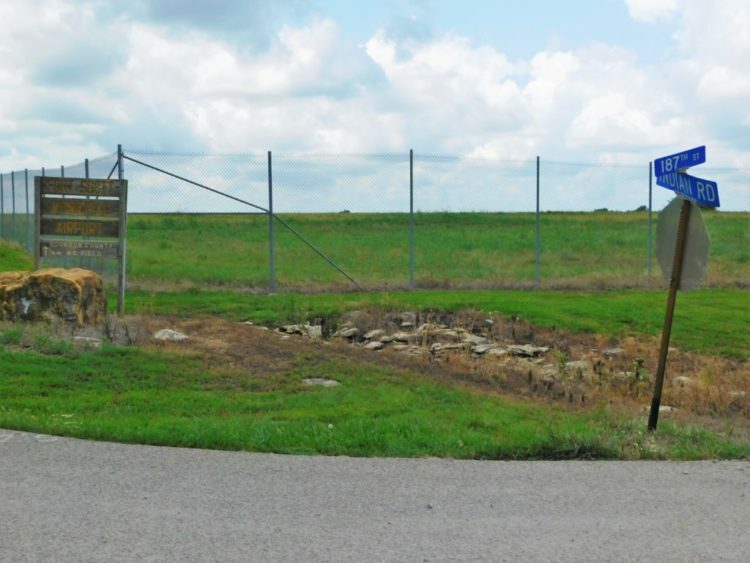 Pictured is the new parking areas in front of hangars at Fort Scott Municipal Airport. The night beacon tower sits in between two hangars. 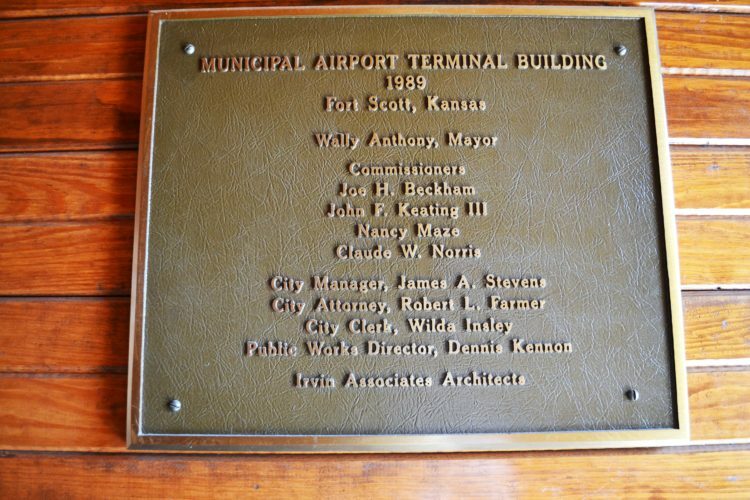 Pictured is the largest hangar at Fort Scott Municipal Airport which is owned by Ward Kraft, Inc.
A plaque at the entrance to the office of the Fort Scott Airport commemorates the airports history. If you saw a bi-plane doing loops on Thursday, you were witnessing an innovative way of raising funds for Airport Day. Several individuals paid for a ride with Kelly Pietrowicz in her aerobatics plane Thursday evening and funds were used to help sponsor Airport Day. 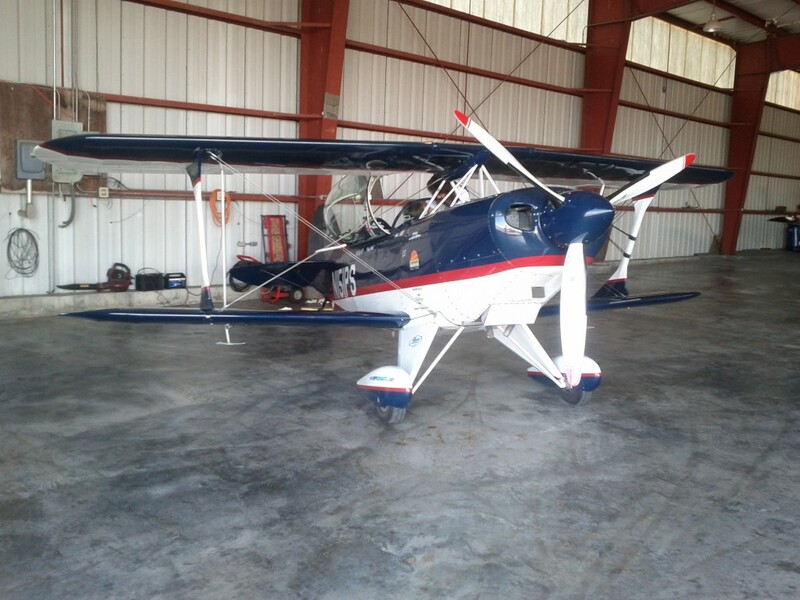 Kelly Pietrowicz's Pitts Special Aerobatic Airplane in the Fort Scott Hanger. 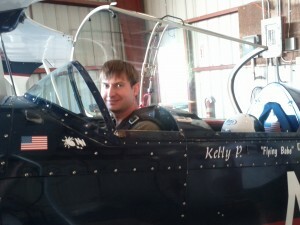 Kelly’s plane is a Pitts Special–a two seater bi-wing plane. Riders were given some instruction in what to expect and how to keep from blacking out. They had to empty their pockets to make sure nothing would fall out that might get stuck under any of the controls and were strapped into the front seat of the plane with a parachute attached to their backs. The rides lasted about 20 minutes and included inverted flight, loops, rolls and stalls. David Sachau getting ready to fly. David Sachau was one of the riders. He said the ride a lot of fun and it wasn’t as hard on the stomach as he thought it might be. However, David earned his pilots license when he was 17, so he might not exactly represent the experience of an “average” person. Kansas Senator Bob Marshall was the other rider. As a former AirForce pilot of the F-4 Phantom and the F-8 Crusader, he is probably a bit more conditioned for aerobatics as well.